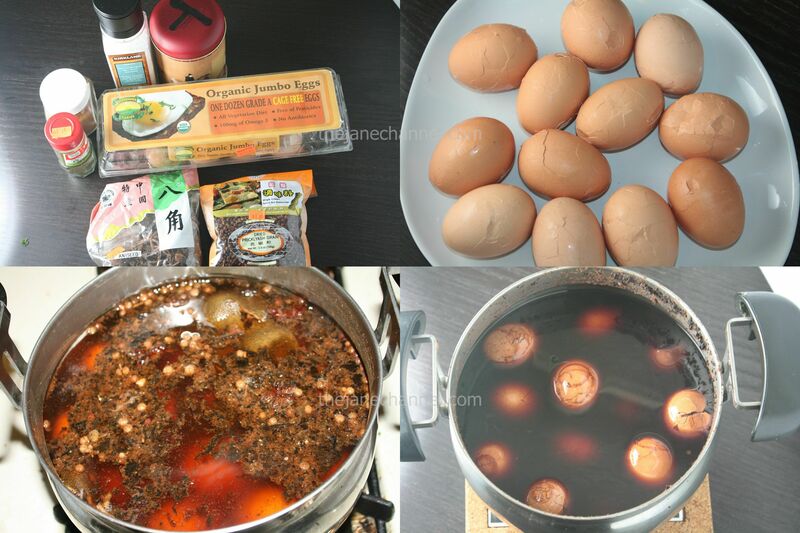 Tea egg is a popular Chinese snack that can be eaten any time of the day. By steeping into the spice-tea liquid, the eggs absorb their flavors and color. The longer you steep the egg, the more flavor it has. 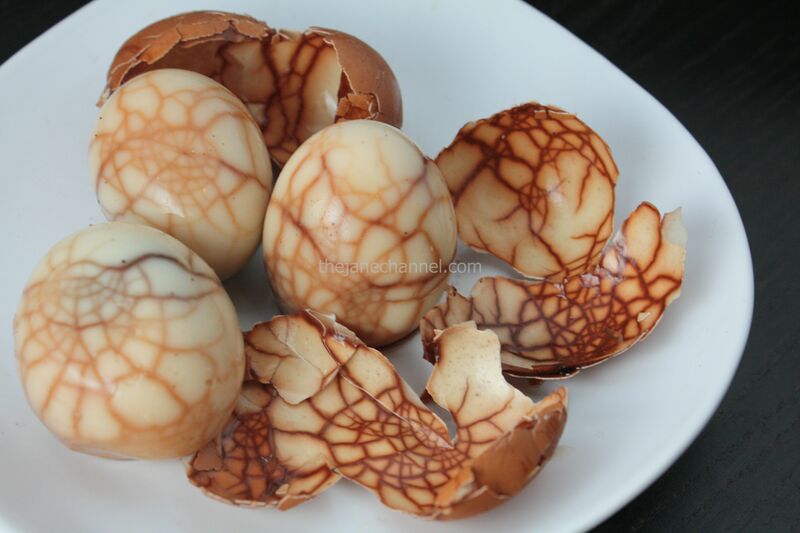 By cracking egg shells, the dark color of the liquid goes to the eggs and bring a marbling effect to them. Place eggs In a large pot, cover with cold water. Bring to a boil, reduce heat, and simmer for 8 minutes. Remove from heat, drain and soak in cold water for couple minutes. When cool, tap eggs with the back of a spoon to crack shells, but do not remove shells. *Tips: Before combining the tea leaves with the spices liquid, soak them in warm water for 15 minutes, drain and remove. This can remove the bitter taste.